Especially developed by Rixen Kaul to take small pets (max. 7 Kg) on a bicycle ride. With removable inside cushion and adjustable leash. 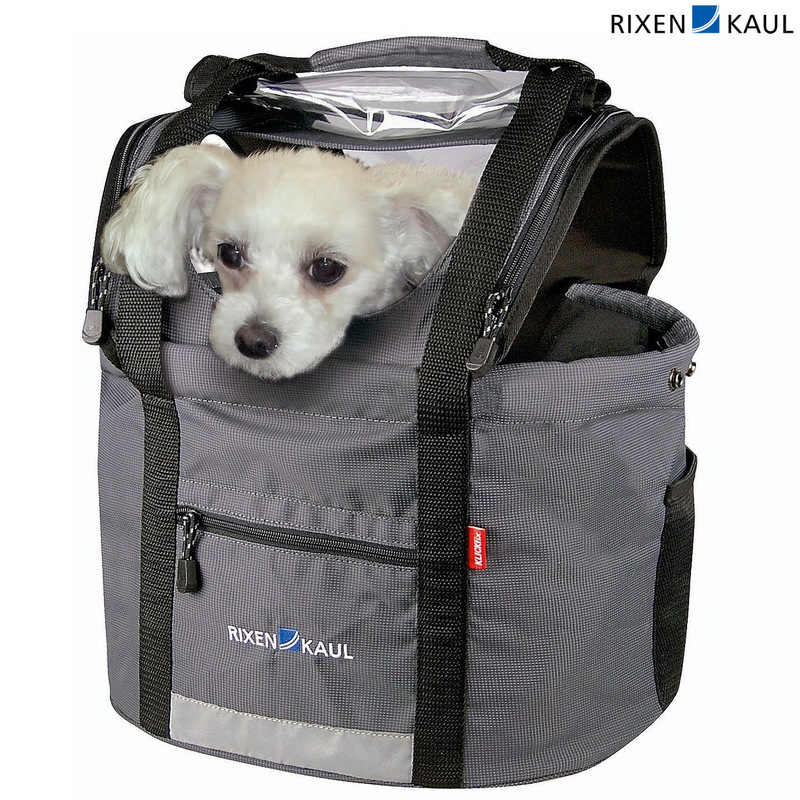 With handle and reflector, front compartment with zipper for purse or key and net-compartments on both sides for snacks or leash. The cover is completely detachable for easy cleaning. It offers individual options for wind/rain protection and access of light and fresh air. Requires a Rixen Kaul Klickfix QR Handlebar Mount. ..but in your opinion, what's the largest breed of dog that would comfortably fit in this carrier, please? Thanks. We really would have no expertise with that other than to offer the information "to take small pets (max. 7 Kg)"